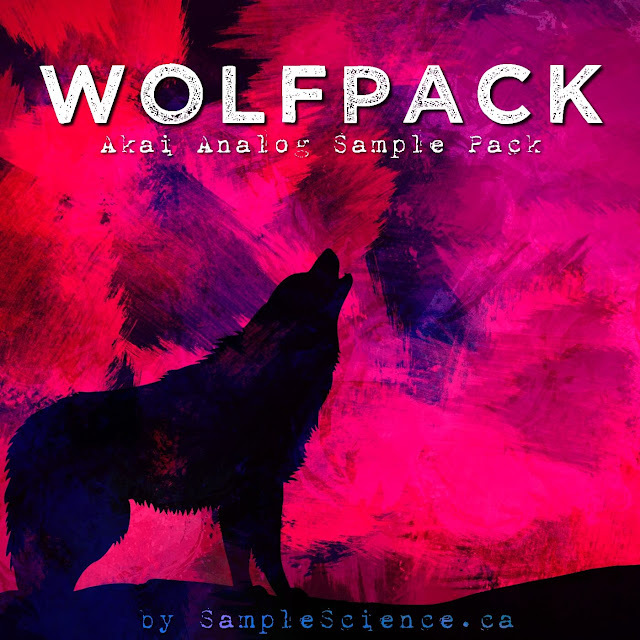 Wolfpack is a free sample and loops collection featuring the analog instrument's line of Akai Pro. The samples were recorded with three analog machines from Akai: The Rhythm Wolf drum machine/bass synth, the Timbre Wolf polyphonic 4-voice synth, and the Tom Cat drum machine. The sample pack includes 2 drum kits, various lo-fi loops using guitar pedals with the Akai’s analogs and one-shots with seamless loop points. The samples are 24-bit 44.1kHz Wav files and they are royalty-free. 2 Rhythm Wolf drum kits (23 samples in total).